Like many great chefs, I seek to explore the relationship between the senses. I find that presenting the eyes with one thing and the taste buds with another creates a fascinating incongruity - and if executed skilfully, an unforgettable dining experience. I take great satisfaction not only from creating something wonderful and unique, but also from the joy and delight on the faces of those who I am lucky enough to share the experience with. So that's why I made a swiss roll with black pudding in it. 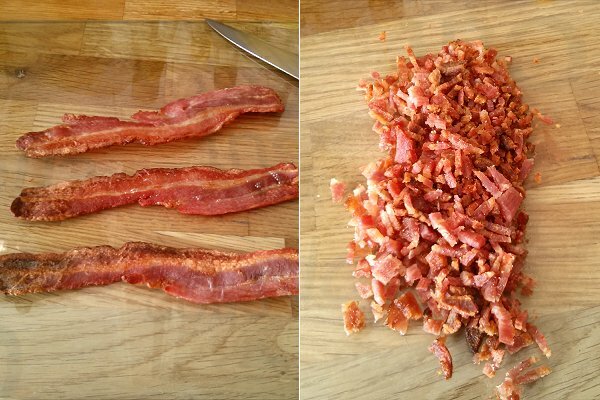 I found a basic recipe for savoury swiss roll online (which was essentially just self raising flour with whisked eggs) and added some bacon - cooked to a crisp and finely chopped - to the mixture. The thin layer of sponge only took ten minutes or so to cook. I made the filling from a few slices of cooked black pudding mixed with a little bit of thickened beef stock, and briefly whizzed it up in the blender. 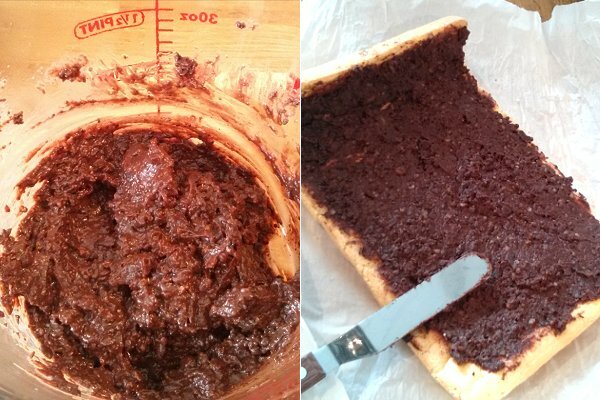 The plan was to spread the black pudding "puree" over the sponge and neatly roll it up... but it didn't quite go according to plan. The sponge was tough and rubbery, bordering on inedible, and it actually split when I tried to roll it. My heart sank, as I realised that my latest creation was headed for a complete disaster. 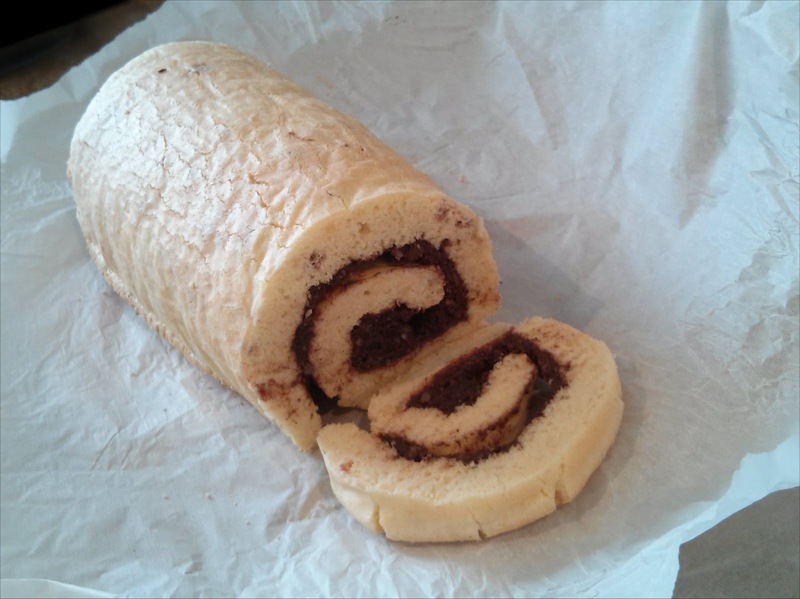 However, my wife happens to be an expert swiss roll maker. 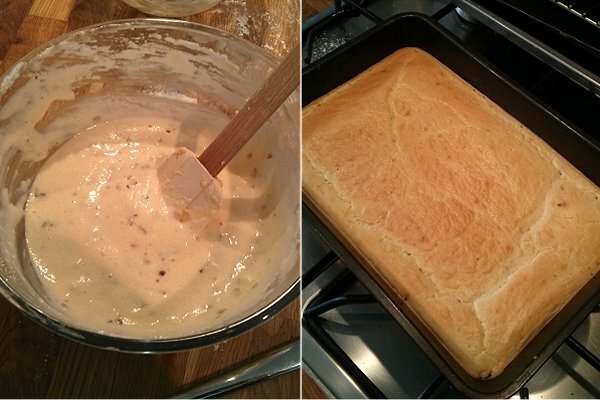 And despite firmly believing that my black pudding swiss roll sounded completely disgusting, she saved the day by whipping up another batch of sponge batter in record time. Ten minutes later, it came out of the oven... light, soft, and delicious. What a woman! 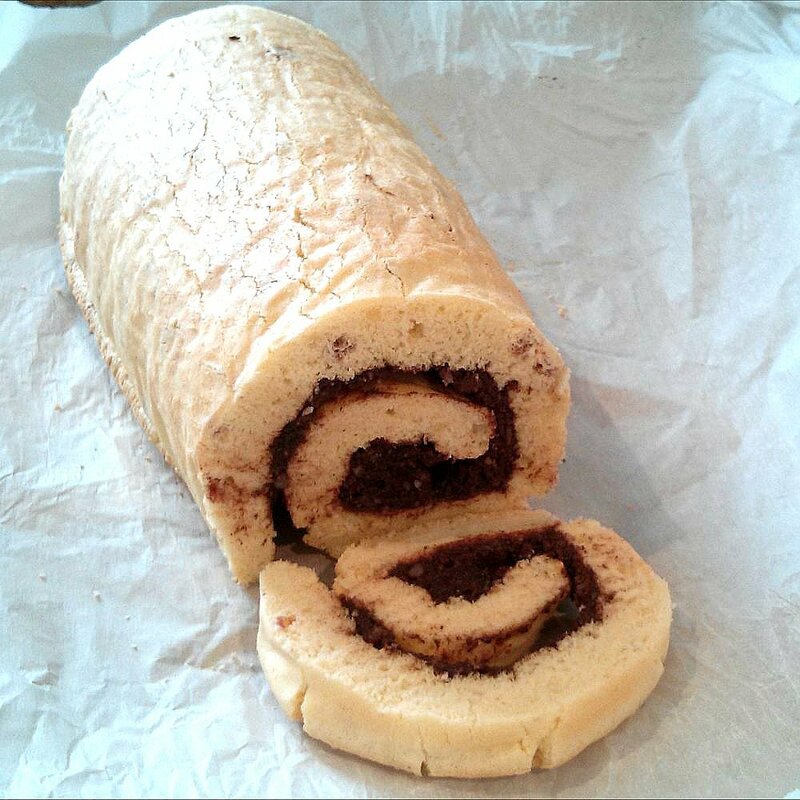 Is the world ready yet for the black pudding swiss roll? Well, where better to try it out than the "Band Of Bakers" summer picnic. It was initially met with a few looks of disbelief, but I think it went down pretty well in the end - and I must admit that it was a pretty good match for a nice cold beer. Your wife is a genius. Your wife is a genius and I actually can't believe I missed the chance to try this at the picnic. Gutted.